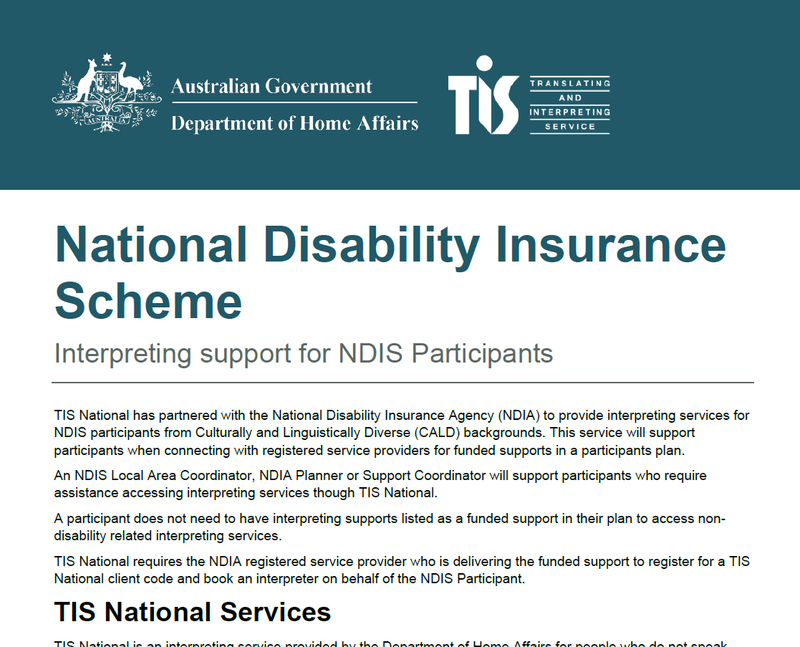 TIS National has partnered with the National Disability Insurance Agency (NDIA) to provide interpreting services for NDIS participants from Culturally and Linguistically Diverse (CALD) backgrounds. This service will support participants when connecting with registered service providers for funded supports in a participants plan. See the TIS Factsheet for more information.